In the 92 years of PAOK existence, there have been 92 changes at the helm of the squad. The first coach of the “Double-Headed Eagle” was Konstantinos Andreadis, who took the job without pay from the first year until January 1931. At that time, the club administration decided to hand the managerial post to a foreigner, Rudolf Gassner, for the first time. However his paycheck proved unbearable for the club, while the results were mediocre. The first coach to lead the team after the 1st National Division (A’ Ethniki) was established in 1959, was also a foreigner, Žarko Mihajlović. 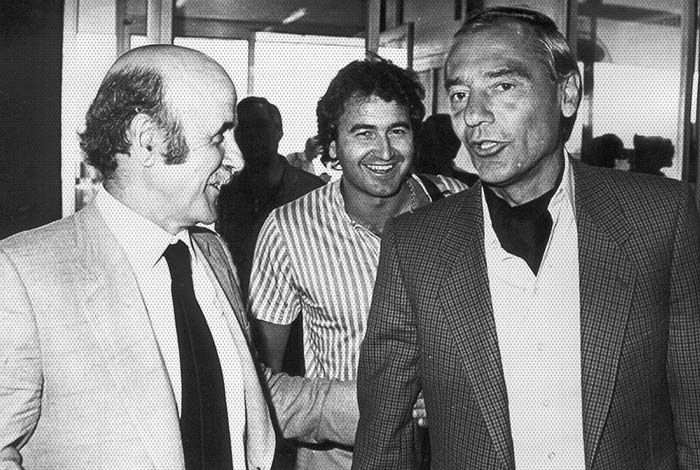 Another foreign coach, Egon Piechaczek, was calling the shots from the bench at the dawn of Greek football’s professional era (1979).Vladan Ivić was the first foreigner to serve PAOK as a player and as a coach.